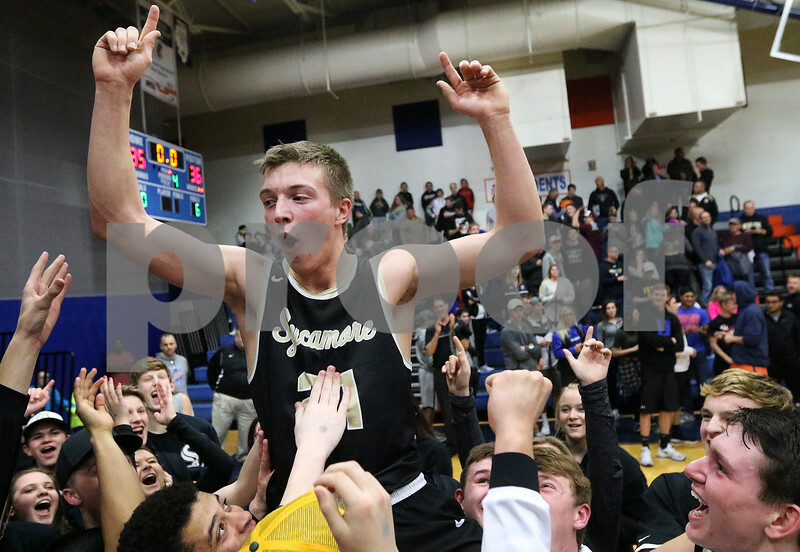 James Marcinkowski of Sycamore is hoisted high above the Spartans in celebration of their boys basketball sectional semifinal victory against Belvidere on Tuesday, Mar. 7, 2017 at Genoa-Kingston High School in Genoa. Sycamore won 36-35 on two free throw shots by Marcinkowski with 0.1 seconds left on the clock.